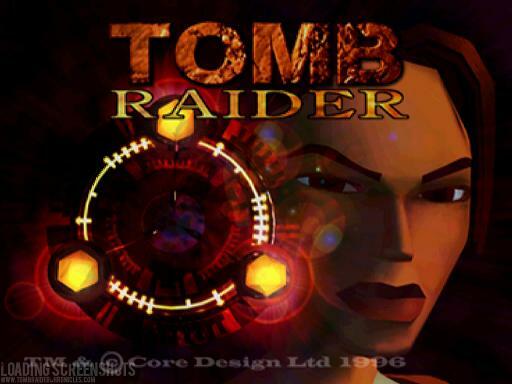 I found this old CD with Tomb Raider on it – you know, the old 3D puzzle/maze/action game from 1996 or something? I don’t know how many hours I spent on it, and when I bought myself a 3Dfx Voodoo graphics accelerator, there was actually a patch to make this game use that lovely piece of hardware for real 640×480 action. Back then, it was so cool, I really don’t know what to compare it to. But I digress. Okay, so I found this CD. Now what? I googled around a bit and found Tomb Raider Chronicles, who seem to have dedicated a lot of time to get these old games running on modern hardware. Unfortunately, they hadn’t done anything with TR1 since about 2007, so I was afraid things wouldn’t work really flawlessly anyway. And sure enough, their Advanced Installer software did it’s magic, but unfortunately the magic fizzled in the end. The game got installed, it seemed to start, but crashed right back to the desktop. Now, I was determined to get things going, though, so I spent some more time with google and found a howto, using another piece of code on Tomb Raider Forums. It’s meant to solve the problem in Vista, but obviously it works just as well for XP SP3. 1) Download and install VDMsound 2.10. Reboot. 2) Download and install the Advanced TR Installer (TR1setup.exe). Choose dgVoodoo 1.40 as the version. Do not choose the option to create an desktop shortcut. 3) Download ssdh.zip. Unzip the files. 7) Open dgVoodooSetup if you havn’t opened it already (C:\tombraid\dgVoodooSetup > click it) – on the right hand side click the “search” button – point it towards c:\windows\system32\glide2x.dll. Buttons are now no longer greyed out? Good, you’ve found it. Click the “DOS” platform > click the “VESA” tab> tick “Use built in VESA support”. Click “ok”. And I can tell you that the game has aged. No doubt about that. But still: I’m actually re-living Tomb Raider 1 in a full 1920×1080 resolution in 2010. That’s pretty amazing if you ask me. Respect to all the guys who were involved in making this possible! Mac Mini getting even better as HTPC? Apple Insider has an article on next-gen Mac Mini computers featuring an HDMI port instead of the current DVI. Since HDMI essentially is DVI + sound, the obvious application for this new version is in the living room, where, incidentally, I was planning to put a Mac Mini anyway. If this article is right, it might become just a little bit less messy/more professional-looking, with just one cable to the HDMI switch in the receiver, and thus single point input selection, instead of having to choose the correct input port on both the TV/projector and on the amp. I’ve been thinking of setting up an HTPC since the time when AdvMame was actively developed (I think my first serious experiments were made when AdvMame was in version 0.97, which puts it in 2005), and when Plasma and LCD TVs were prohibitively expensive. My plan back then, was to output video at PAL or NTSC resolution from an ATI graphics card, via a VGA to SCART converter that essentially “combined” the horizontal and vertical sync signals in addition to providing the necessary connectors, and so send the resulting signal to my living room CRT TV. This would, was my plan, allow me to watch media files in their original resolution without scaling, and also play my favorite side-scrolling arcade games without the then-obligatory ripping and tearing that originates in differences in sync speeds between the original game system and the current screen you’d be viewing it on. My current plan sticks to a slightly higher budget: Between my other hobbies and have-tos, I’m building a casual home theater. Nothing fancy as a dedicated room or anything like that, but a functional big-screen (by projector), nice-sounding (by a good amp-speaker combo), movie- and game system, with a Mac- or Linux based solution at the core. As of yet, I see no point in getting a current- or next-gen game console for this system, simply because I don’t usually play the kind of games that are available for the consoles. Like all other of my hobby projects, this is subject to change, of course. We’ll see what happens in autumn when I’ll feel more like spending time on these kinds of indoors projects again. Author MickePosted on March 2, 2010 March 2, 2010 Categories Apple, Classic, ComputingTags Apple, HTPC, Mac Mini, MAME, ProjectsLeave a comment on Mac Mini getting even better as HTPC?